MDOT will begin a 10-mile $11.8 million project along M-5 that includes repairs on the Grand River bridge on Monday. OAKLAND COUNTY, Mich. (WXYZ) — MDOT will begin a 10-mile $11.8 million project along M-5 that includes repairs on the Grand River bridge on Monday. While M-5 will remain open, the Grand River street bridge will close for a couple of months, creating headaches for drivers and concerns for local business owners. L George's in Farmington Hills is a busy restaurant on a busy street, located on Grand River right next to M-5. "Lots of regulars, family from Farmington and Novi," says co-owner Diana Gilaj. "They come here for breakfast, that’s the number one," says Gilaj. It's Brandon Clark's go-to for takeout. "That’s all I eat honestly, turkey salad," Clark said. He says construction won't stop him. But when the M-5 facelift begins Monday, the Grand River bridge will close in both directions and Gilaj is worried it will keep customers away. "In my mind, I think it’s going to affect 75 percent of business. I mean, until it starts, we don’t really know, but we’re worried," says Gilaj. 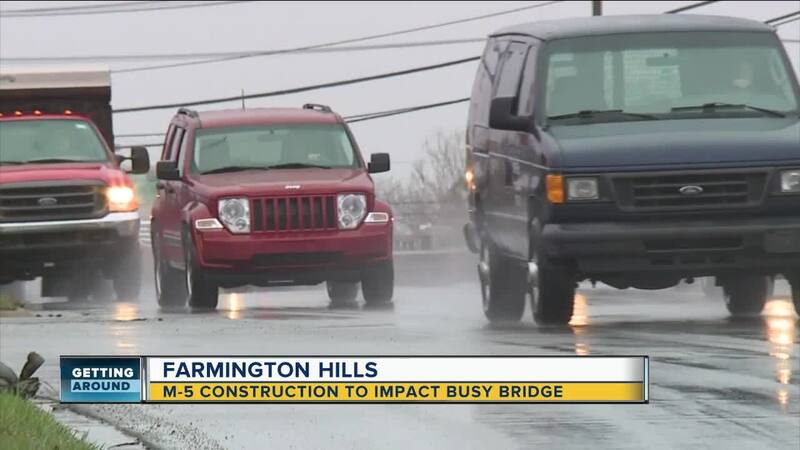 M-5 will remain open during the construction between 8 Mile Road and 13 Mile Road, But the Grand River Avenue bridge that thousands cross everyday, closes for resurfacing and adding ADA compliant sidewalks in both directions. The bridge is scheduled to re-open in 3 months, which will be mid-July. "People will find a way to get here," says Clark. "A little hope is from people who deliver the food," says Gilaj, "Door Dash, Uber Eats and Grub Hub, we have a little hope from them, but it’s gonna take more for them to drive around." The work on M-5 does require weekend closures for bridge work, pavement conditioning and asphalt resurfacing. Eastbound M-5 will be closed during six weekends from Grand River Avenue to Middlebelt Road, while westbound M-5 will be closed during five weekends from Middle Belt Road to Grand RiverAvenue.